Some of the major challenges today when building infrastructure are predictability, scalability and automated recovery. A predictable system will promote the exact same artifact that you tested into your production system so no intermittent failure can cause any trouble. A scalable system makes it trivial, especially automatically, to deal with any rise in traffic. And automated recovery will make sure your team can focus on building a better product and sleep during the night instead of maintaining infrastructure constantly. 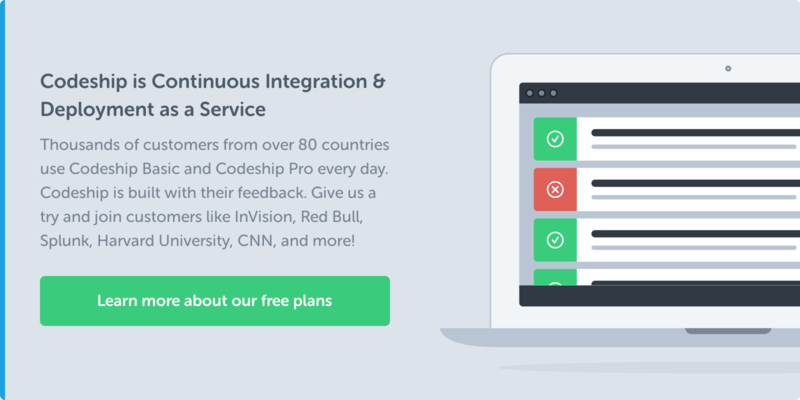 Codeship‘s infrastructure, made up of immutable components, has helped us tremendously with these goals. Julian Dunn from Chef recently released a blog post about their stance on immutable infrastructure. Instead of going over every piece of the article, I want to present an overview of the experience we – and others – have had in making parts of our infrastructure immutable. Immutable infrastructure is comprised of immutable components that are replaced for every deployment, rather than being updated in-place. Those components are started from a common image that is built once per deployment and can be tested and validated. The common image can be built through automation, but doesn’t have to be. Immutability is independent of any tool or workflow for building the images. Its best use case is in a cloud or virtualized environment. While it is possible in non-virtualized environments, the benefit doesn’t outweigh the effort. The main criticism against immutable infrastructure – as stated in the Chef blog post – is that there is always state somewhere in the system and, therefore, the whole system isn’t immutable. That misses the point of immutable components. The main advantage when it comes to state in immutable infrastructure is that it is siloed. The boundaries between layers storing state and the layers that are ephemeral are clearly drawn and no leakage can possibly happen between those layers. There simply is no way to mix state into different components when you can’t expect them to be up and running the next minute. Updating an existing server can easily have unintended consequences. That’s why Chef, Puppet, CFEngine or other such tools exist – to take care of consistency across your infrastructure. A central system is necessary to manage the expected state of each server and to take action to ensure compliance. Deployment is not an atomic action but a transition that can go wrong and lead to an unknown state. This becomes very hard and complex to debug, as the exact state you are in is hard to know. Chef, Puppet or CFEngine are very complex systems as they have to deal with an overly complex problem. Another solution to that problem is to build completely new images and servers that contain the application and the environment every time you want to deploy. In that case, the deployment doesn’t depend on the status the servers were in before, so the result is much more predictable and repeatable. Any third-party issues that may cause the deployment to fail can be caught by validating the new image and ensuring no production system was impacted. This one image can then be used to start any number of servers and switch atomically from the old machines to the new ones by changing the load balancer, for example. There are of course downsides to rebuilding your images with every deployment. A full rebuild of the system takes a lot longer than simply updating and restarting the application. By layering your deployment you can optimize this, e.g. have a repository to build a base image and use that base image to just put in your application for the deployment image, but it will still be a slower process. Another problem is that you introduce dependencies to third parties during deployment. If you install packages in the system and your apt repository is slow or down this can fail the deployment. While this could be a problem in a non immutable infrastructure as well you typically interact less with third party systems when you just push new code into an already provisioned system. By deploying from a pre-provisioned base image and updating that base image regularly you can soften that problem, but it’s still there and might fail a deployment from time to time. Building the automation currently still takes more time at the beginning of the project, as the tools for building immutable infrastructure are still new or need to be developed. It is definitely more investment in the beginning, but pays off immediately. You can still use Chef, Puppet, CFEngine or Ansible to build your images, but as they aren’t built for an immutable infrastructure workflow they tend to be more complex than necessary. As all deployments are done by building new images, history is preserved automatically for rollback when necessary. The same process and automation that is used to deploy the next version can be used to roll back, which ensures the process of rolling back will work. By automating the creation of the images, you can even recreate historical images and branch off from earlier points in the history of the infrastructure. Data schema changes are a potential problem, but that’s a general issue with rollbacks. Backwards compatibility and zero downtime deployments are a way to make sure this will work regardless of the changes. As you control the whole environment and application, any experiments with new versions of the language, operating system or dependencies are easy. With strict testing and validation in place, and the ability to roll-back if necessary, all the fear of upgrading any dependency is removed. Experimentation becomes an integral and trivial part of building your infrastructure. With immutable components in place, it’s easy to simply kill a misbehaving server. While often errors are simply a product of the environment, for example a third party system misbehaving, and can be ignored, some will keep coming up. Not having access into the servers puts the right incentive on the team to collect and store logs and system metrics externally. This way, debugging can happen while the server is long gone. If logs and metrics are missing to properly debug an issue, it’s easy to add more data collection to the infrastructure and replace all existing servers. Then once the error comes up again you can debug it fully from the data stored on an external system. Immutable components as part of your infrastructure are a way to reduce inconsistency in your infrastructure and improve the trust into your deployment process. Atomic deployments, combined with validation of the image and easy rollback, make managing your infrastructure a lot easier. It forces teams to silo data and expect failures that are inherent when building on top of a cloud infrastructure or when building systems in general. This increases resilience and trains you in a process to withstand any problems, especially in an automated fashion. Furthermore, it helps with building simple and independent components that are easy to deploy and scale. And it’s not a theoretical idea. 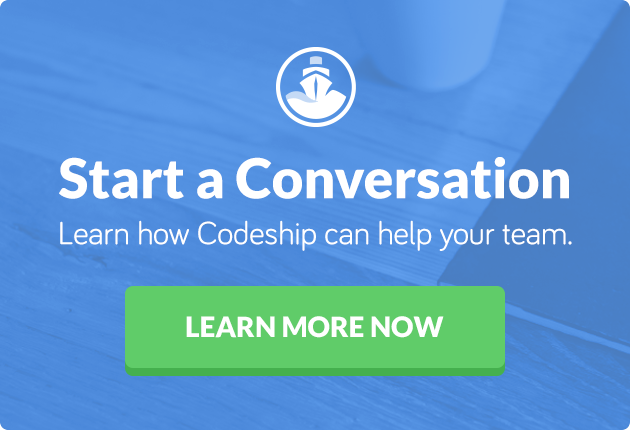 At Codeship, we’ve built our infrastructure this way for a long time. Heroku and other PaaS providers are built as immutable components and lots of companies – small and very large – have used immutability as a core concept of their infrastructure. Tools like Packer have made building immutable components very easy. Together with existing cloud infrastructure they are a powerful concept to help you build better and safer infrastructure. Let me know in the comments if you have any questions or interesting insights to share. I got great feedback by the following people on this article. Thanks for taking the time and helping me to make it much clearer and simply better.